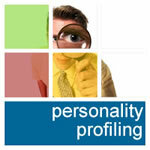 We are Licensed Administrators of the Thomas International Personal Profile Analysis Tool (PPA). We offer an online personality and psychometric testing service. The service is also available with face-to-face, personal support and report interpretation, should you feel it is needed. Results from Psychometric Tests and Behavioural Profiling (Personal Profile Analysis) can prove to be a useful tool when used as that – a tool. They should not be used as the ‘be all and end all’. We have many clients who make extensive use of Personal Profile Analysis results for the development and promotion of staff, understanding and motivating staff and of course, the much more common use of recruiting staff. As we can achieve a turn around on most occasions of 30 to 45 minutes (when planned in advance) to get the Personal Profile Analysis emailed back to the client from the completion of the online test, many clients ask a person for recruitment to complete the online test prior to interview or at the beginning of the interview, so that they can get the Personal Profile Analysis psychometric report by the end of the interview. Employing People? What to see if they fit the Job Role or Team? If you are looking to recruit people why not have a Job Profile created and then use the Personal Profile Analysis to see how the person’s profile ‘fits’ in the job role profile. This is the Job Compatibility Report. To get this, simply request a Human Job Analysis at no cost, then you order a Personal Profile Analysis on each person and request the additional Job Compatibility Report for a nominal charge to go with the PPA. You can also use the Team Audit Report in conjunction with the Personal Profile Analysis to develop a matched and more effective team. You create a profile for the Team and then use a Personal Profile Analysis on each team member to produce a full Team Audit. This can be used on existing teams and when you are considering bringing people together to work as a team. Going for an Interview? Want to see what they might see about you? We have many individuals who are requesting a Thomas International Personal Profile Analysis in order to help them understand themselves better, and to show them what others might see if that company requests a Psychometric Test on them. You can also add the Career Guidelines Report to your Personal Profile Analysis. This guide provides a summary of your key behaviours, motivation and job emphasis and then lists specific functions and job types that would be compatible with your behaviour. If you are considering a new career opportunity, or if you are new to the job market, this is a useful guide. You can now pay for your Online Psychometric Test – using your credit card too. The Thomas International Personal Profile Analysis is available to be taken in a number of languages however, the report will be generated in the default language of English (UK) unless you request a specific language for the production of the report. It is important to take the test in the right language. Let us say that you are from another country and grew up there into your adult years and have now been in the United Kingdom for some years, maybe 15 or 20 years. You might be fluent in UK English, however, you may not be fully conversant with the subtle nuances (details and meanings) of certain English words. Taking the test in your speaking language of English may skew the test results and produce and incorrect report. You need to take the test in your first or thinking language. If you want to take the test and the language you require is not available online, we will email you the appropriate PPA Questionnaire in the language of your choice. You would then complete the questionnaire and then fax or scan and email it back to us for processing and report generation.